Working to keep your privacy private! MIDCON Shredding wants to ensure that your privacy is secure! 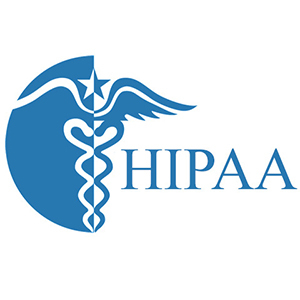 MIDCON is HIPAA compliant, and NAID AAA Certified. Below we have the requirements for the NAID AAA program. When it comes to service provider qualifications, choose the certification program with strength and integrity. When we say secure, we mean it. We are the perfect solution for banks and other financial institutions because we are compliant with the Gramm-Leach-Bliley Act (GLBA). GLBA obligates financial institutions providing financial products or services to guarantee the security and confidentiality of private customer information including customer names, addresses, phone numbers, and social security number. In order to make compliance easy, we provide secure shredding for confidential documents, both on-site and drop off shredding. We actively protect your most valuable asset, your data, so you can feel confident knowing that your data destruction vendor is secure. You can see us destroy your documents and hard drive first-hand with our mobile shred trucks that offer on-site service. Don’t put yourself at risk for financial liability, count on MIDCON Shredding for your data destruction. All NAID certified service providers are subject to regularly scheduled, onsite audits by trained, accredited security professionals. In addition, random, unannounced audits are structured so NAID certified operators will not know when they will be audited next. The program requires written policies and procedures for each company to ensure incident response preparedness, employee training, and regulatory compliance. A customer may request an audit report to monitor the service provider and to ensure they meet the regulatory risk assessment requirements. A customer may monitor compliance by subscribing to email notifications of the service provider’s certification renewal, audit, or lapse. The Certification Review Board and the Certification Rules Committee oversee the program’s integrity, both of which contain industry veterans and outside, accredited professionals. All documents and specifications are available to the public for free and online. Audit reports and monitoring services are also provided to clients at no charge. The association’s financial records and board of director’s meeting minutes are available online as well. When your documents are shredded with MIDCON, they will be recycled into reusable paper. MIDCON wants to ensure that we are environmentally friendly. Because of the EPA’s and the state hazardous waste requirements, it can be difficult to properly dispose of your electronics. MIDCON properly deposes of all the raw materials from the electronics after the hard drive has been physically destroyed. More than 1,000 operations on five continents are certified by NAID, including mobile, plant-based, paper, and computer destruction services. NAID certification is required by hundreds of government offices and thousands of private contracts. 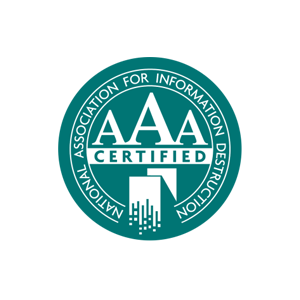 NAID certification is acknowledged by many accreditation programs, such as those offered by the International Association of IT Asset Managers, the Institute of Certified Records Managers, and the R2 IT asset recycling program certification offered by the Sustainable Electronic Recycling Institute (SERI). For more on the depth and integrity of the NAID AAA Certification Program, contact the NAID Certification Department at certification@naidonline.org or 602-788-6243. Additionaly, NAID CEO Robert Johnson, an international authority on data destruction operations, regulations, and compliance, is available to explain how NAID’s program protects members and their clients.